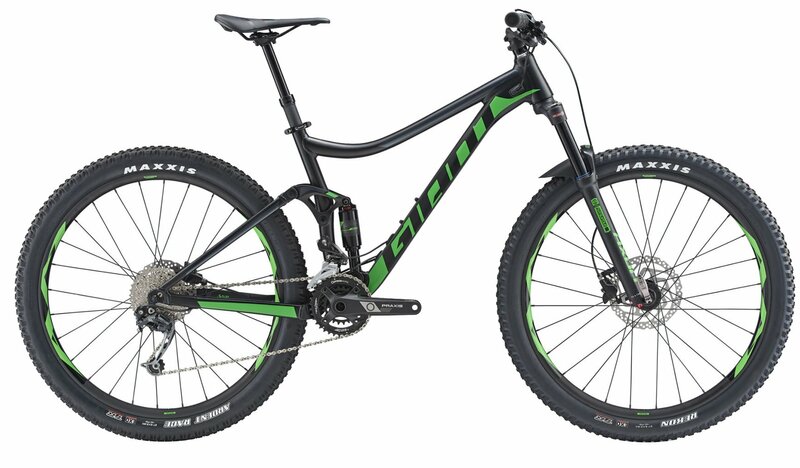 Trail bikes are an excellent balance between a cross-country bike and an all-mountain bike. A trail bike can climb excellently and can also descend confidently. 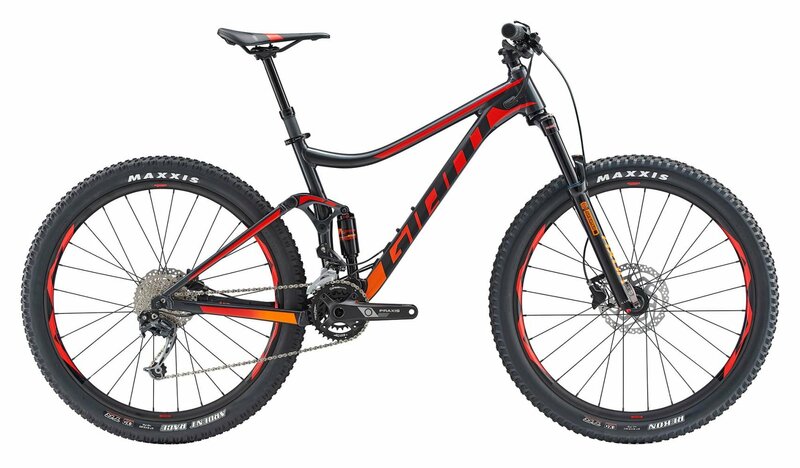 The 2019 Giant Stance 1 27.5" Bike is a full-suspension mountain bike with an aluminum frame and 120mm of smooth suspension travel. The Stance is 27.5+ compatible so you can have the ultimate traction where ever you go. It has an ALUXX-grade aluminum frame that is lightweight and incredibly durable and uses Boost spacing on the front and rear. The Stance 2 comes with a Shimano 2x9 drivetrain. The cassette has an 11-36 tooth gear range that is perfect for climbing but still has great gearing for the flats and descending. The Giant AM rims and Maxxis tires are tubeless ready so you can drop the tire pressure for a smoother ride and better traction. The Suntour suspension on the front and rear provides smooth travel so you can confidently ride all the terrain around. The Shimano BR-MT200 hydraulic disc brakes provide ample stopping power. Riders who climb and descend a lot will appreciate the Giant Contact Switch dropper post. 157 - 165 cm 5'5" - 5'8"